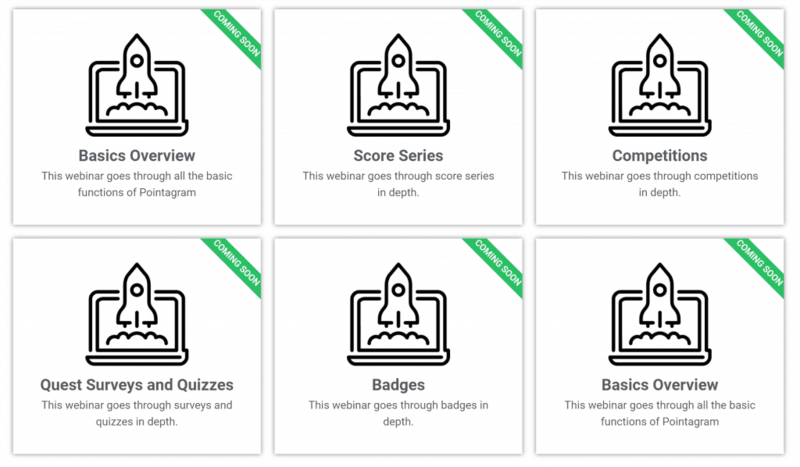 Gamification Webinars - Live with Pointagram! Time to book your seat and buy some popcorn for the show! We are kicking off a series of live webinars and would love for you to participate! These webinars are educational and are aimed to spark your creativity on how powerful Pointagram can be for your team. Our webinar sessions will be around 30 minutes including Q & A, short and effective. Just squeeze us into your calendar! We are new to this and our topics will probably change over time to make sure to deliver the right content. We want to give you the right capabilities to motivate and engage your team. With happy customers we are a happy company! Hopefully these sessions also will give us more insight and help us focus on the right content for you. We are excited, are you? Get your eyes on this page and register now!